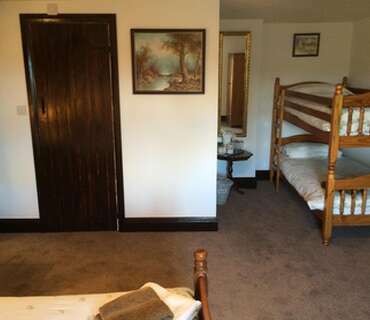 Our largest room that has a Double and a set of bunk beds. 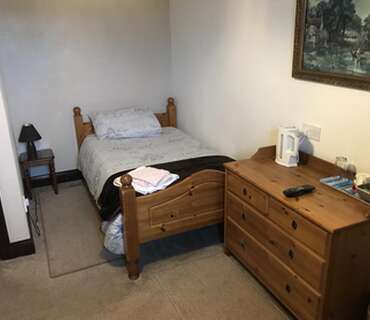 Ideal for Families and multiple occupancy. 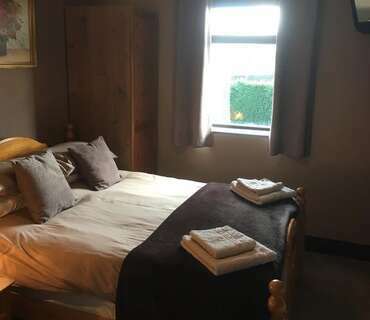 Ensuite has large shower enclosure, bar shower connected to combi boiler so plenty of hot water, toilet and basin. 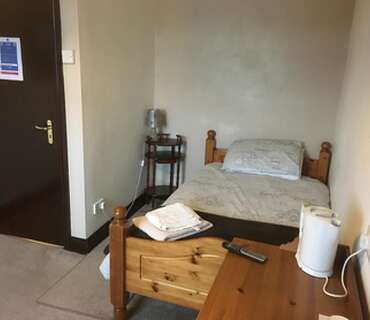 Freeview Tv, DVD, assortment of tea's, and Coffee making facilities. 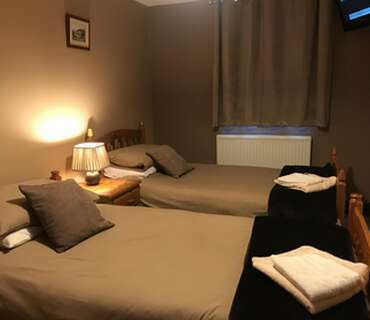 Small double that has a three quarter size bed and more suited to single occupancy, however when other rooms are fully booked and as a last resort, can be used as a double. 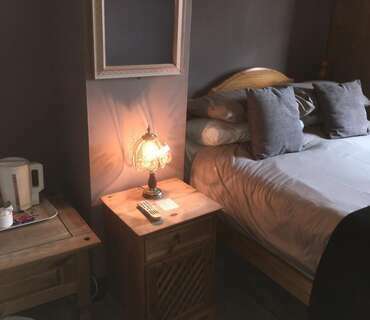 Its own private bathroom is situated next door with toilet, shower, basin and bath. 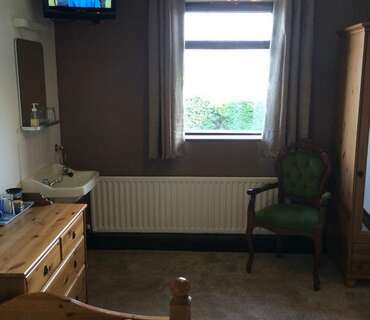 There is also a sink in the bedroom. 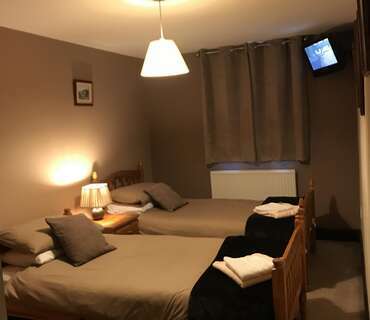 Digital Freeview Tv, DVD, tea and coffee making facilities in the room. 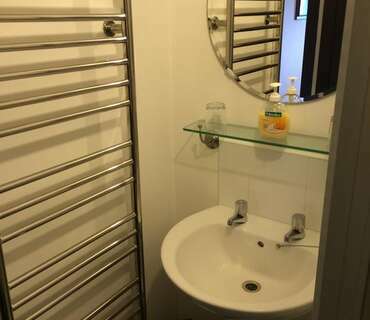 Its own private bathroom is situated next door with shower basin, bath and sink. 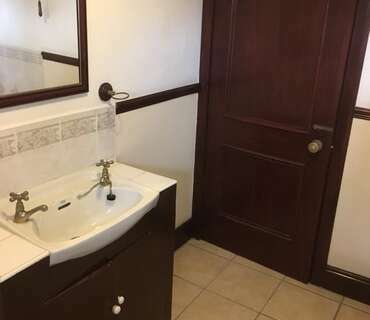 There is also a sink in the bedroom. 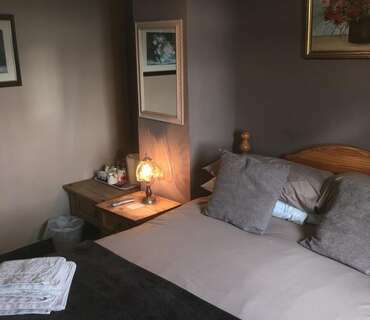 Double ensuite that looks out onto the garden/driveway facing east and towards the Airport. 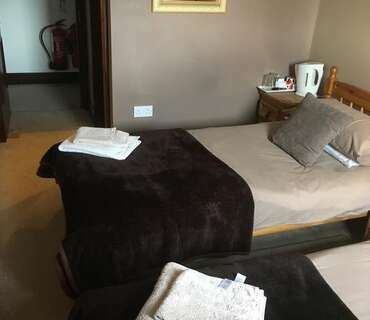 There is tea and coffee in the room as well as free Wifi. Digital freeview and also DVD player built into the Tv. 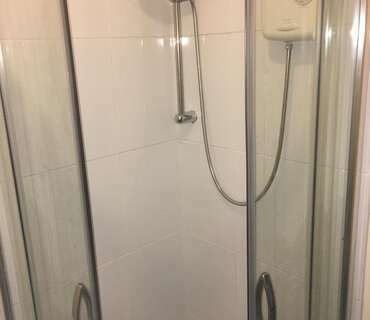 The ensuite has a shower cubicle, electric shower, basin and toilet. 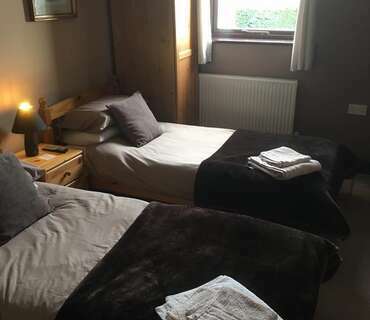 Twin room consisting of 2 single beds. Ensuite consists of shower, toilet and sink with black vinyl to floor. 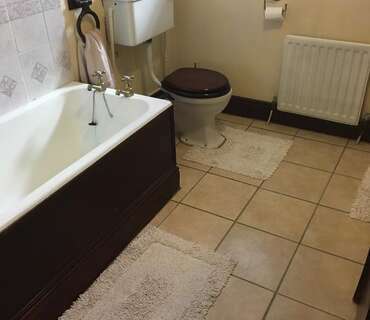 Ensuite with shower, toilet, sink and black vinyl to floor. Digital Freeview Tv, DVD, tea and coffee making facilities. 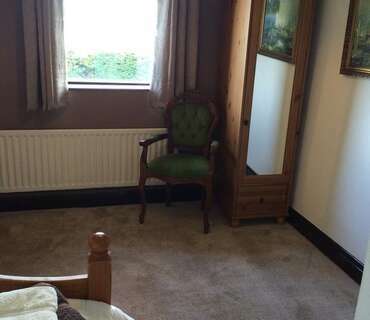 Redecorated spring 2015 with new carpets and curtains fitted.